With the R15, Oppo adopted the notch. With the R17, it might shrink it down. We saw photos by TENAA, but the one of the front was too dark to make out any detail. These two images from Weibo show an Essential-style notch, though with a slightly different design. By the looks of it, the Oppo R17 will house only a selfie camera and an earpiece in its notch. Look at the separate glass panel in the second photo, it gives a better look. It’s not clear where the proximity sensor and ambient light sensor go in this setup. 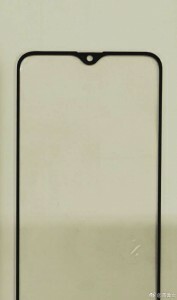 This also doesn’t answer where the fingerprint reader went (it’s not on the back, check the TENAA photos). 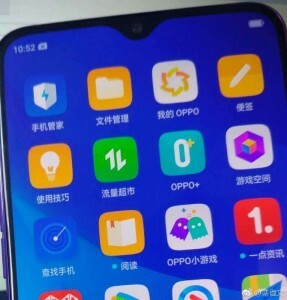 By the way, the Oppo F9 Pro will have the same notch design. Of course, the R-series model will be a higher-end offering and it may have as much as 10GB of RAM. Ahh, stop hating, this is probably the best notch ever. When viewing video there shall be slight black bar, when not, you get more screen. Brilliant!